1 Million Children Meditating For World Peace In Thailand. 5000 schools together. 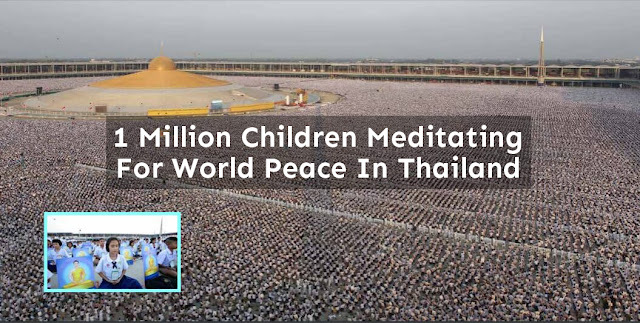 1 million ‪‎children meditating for world ‪‎peace at the Phra Shammakaya Temple of ‪‎Thailand. The universal law of one.